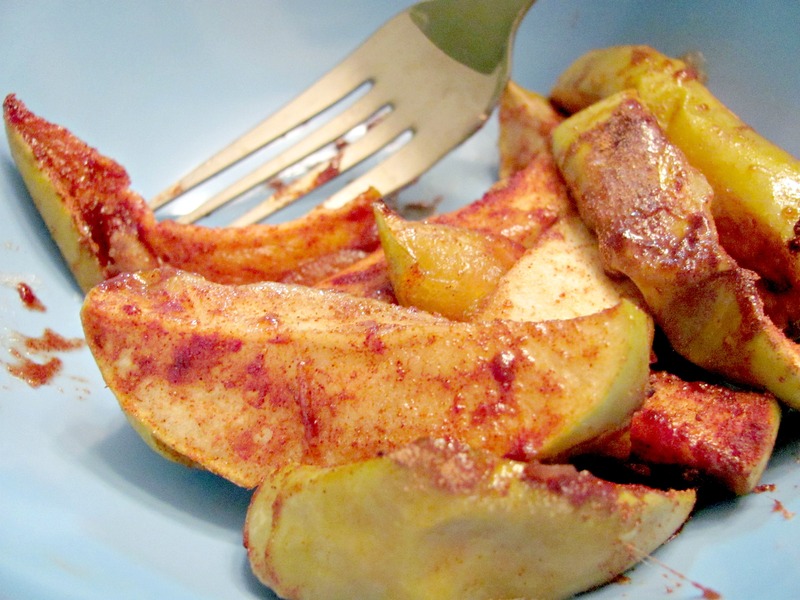 Nothing says fall like the warm, inviting smell of baked apples and cinnamon. Well, in Florida, nothing says fall like “thank GOD for less humidity!! Wanna go to the beach since we can breathe and not feel like we’re going to die?” So, I bought some shiny green Granny Smith apples at the store a couple of days ago with full intention of popping these in the oven. I do not have the time (or patience) to bake an apple pie, which would have been ideal (but unfortunately loaded with calories), so I opted for keeping it simple – and tasty. Preheat oven to 350. 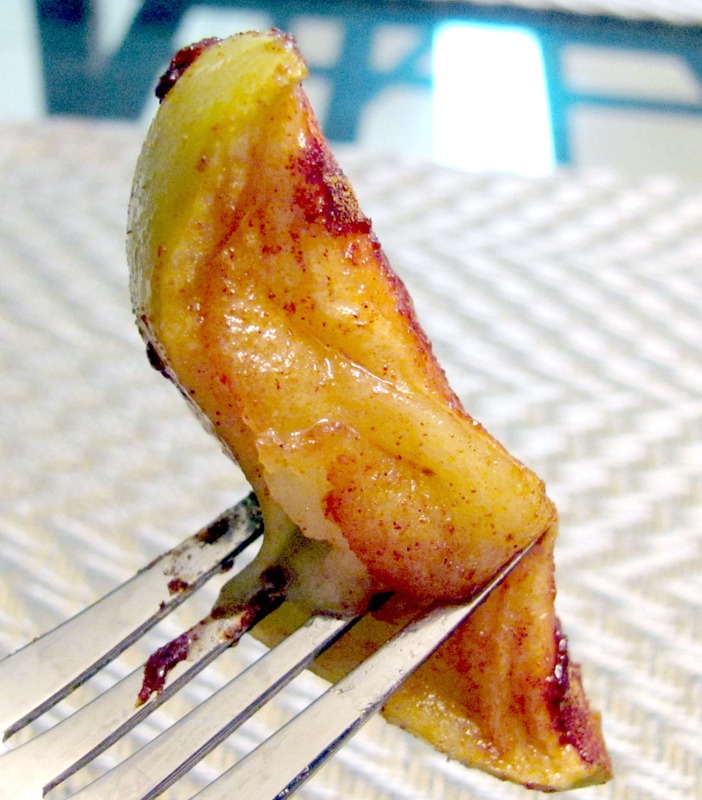 Slice apples into medium thick slices (like shown in the picture). Toss with honey and spices in a medium bowl. Place on an ungreased cookie sheet and baked for about 25 minutes, or until apples are tender but not mushy (like they’re about to fall apart). Serves 3!